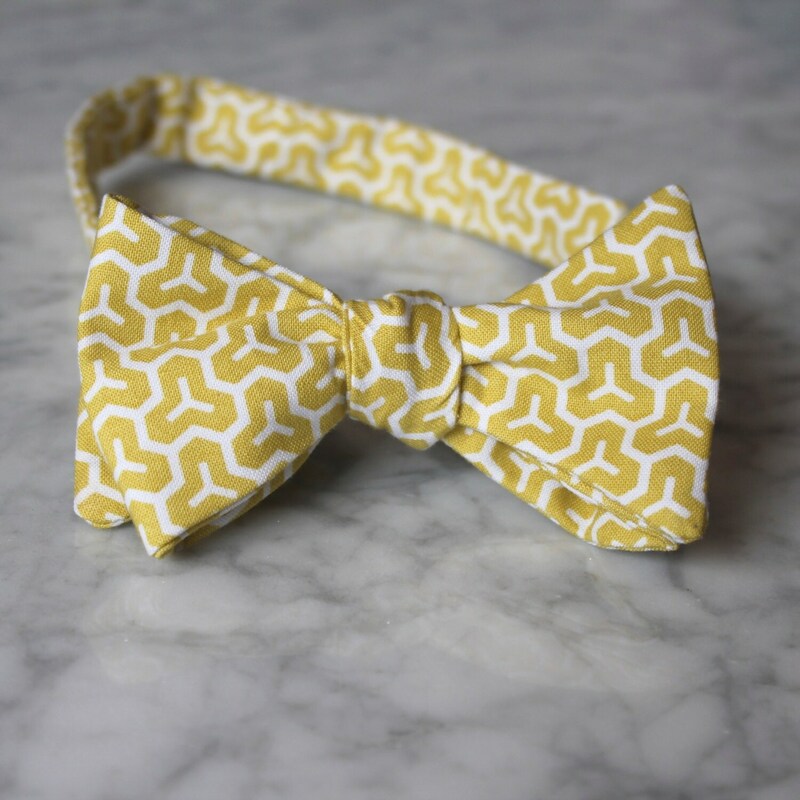 A gorgeous yellow bow tie! 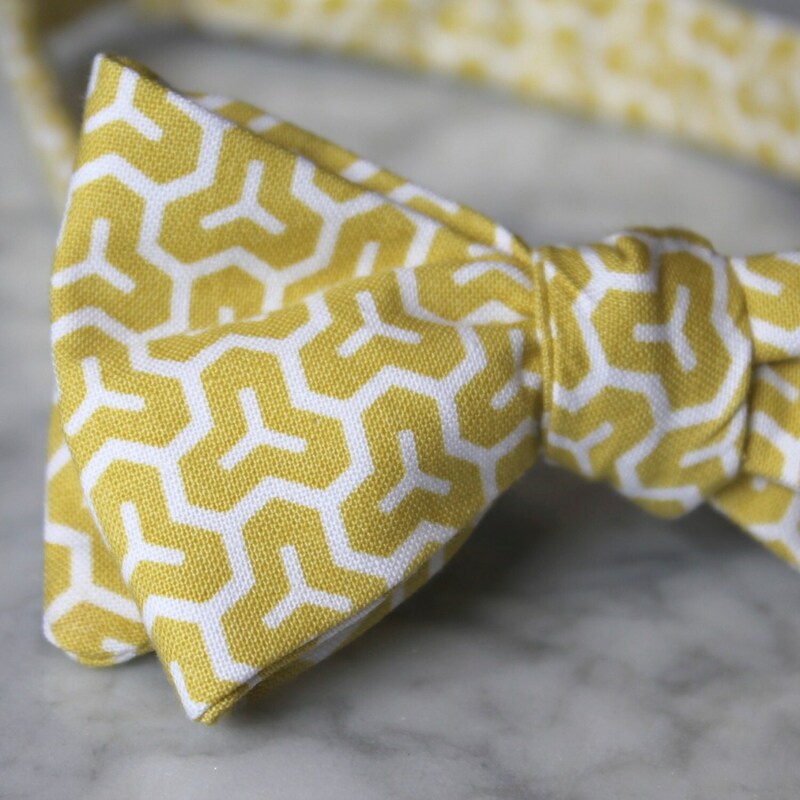 Creamy honey yellow and white honeycomb pattern makes a classy bow tie. This darling tie is perfect for a wedding or a fun addition to any outfit. Made of top quality designer cotton. It will also hold up to lots of wear.